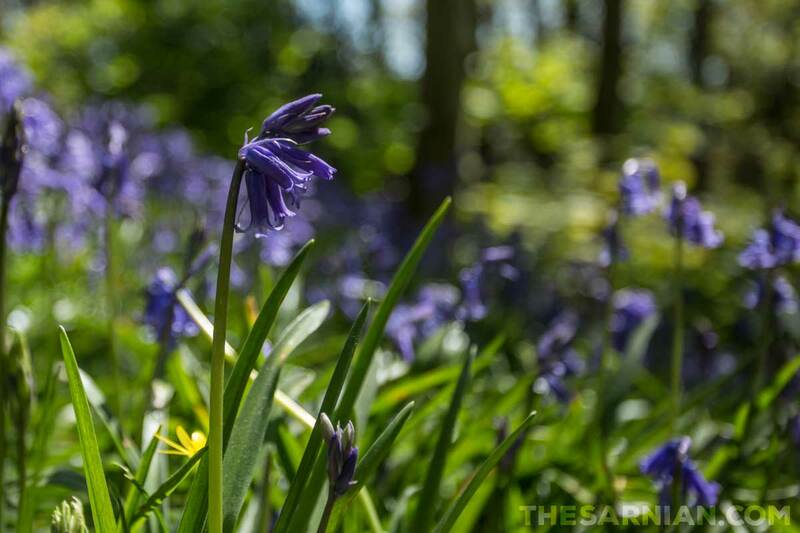 The woods between St Peter Port and Fermain Bay are carpeted with bluebells during the spring, making for some very spectacular walking opportunities. It is particularly interesting in that it’s very different to both the regular coastline, on which it lies, and the island’s interior. The woods are hilly, but are close to St Peter Port via Clarence Battery and Fort George. Many of the areas where the bluebells grow are fenced off so they aren’t trampled, but this doesn’t stop you seeing them. Aside from the woods themselves, there are some great views across Little Russell to Herm where the path runs close enough to the coast itself to break out through the trees. 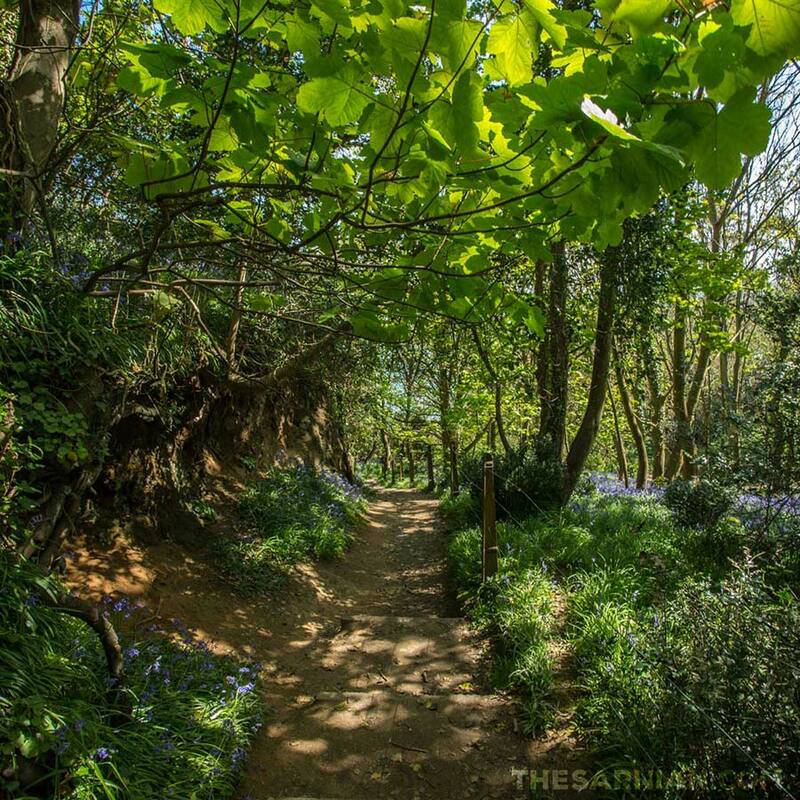 Bluebell woods appears in The Sarnian, the explosive adventure series in which the discovery of a dead body on one of Guernsey's most secluded beaches blows the lid on a world of intrigue and deceit. 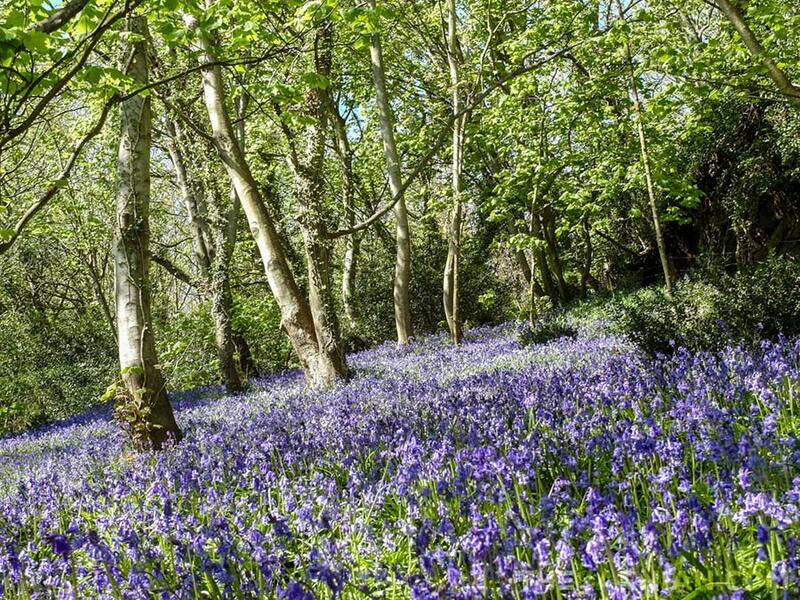 This hilly woodland area between St Peter Port and Fermain Bay is carpeted by bluebells during springtime. It’s a popular walking location, being very different to either the coastline or the island’s interior.